A drone’s flight management (or ground station) software defines your experience—if this is complicated or confusing, operations can quickly become a chore. eMotion is different: it’s advanced, scalable drone software that anyone can use. Beginner-friendly, yet packed with advanced features to optimise results, eMotion helps you get your drone in the air quickly, while including all the functionality you need to collect and manage exactly the geospatial data you require. eMotion is the only professional-grade drone software to support both fixed-wing and multirotor operations. It includes intuitive mission planning blocks and flight modes to suit every application, from automated eBee mapping flights to up-close albris inspections. eMotion’s full 3D environment adds a new dimension to drone flight management—helping you to more accurately plan, simulate and control your drone’s trajectory for safer flights, more consistent performance and improved data quality. eMotion 3 is an ever-evolving workflow hub. It connects wirelessly to your drone, to industry cloud solutions, to survey-grade base stations, airspace data, and even includes live weather updates. Drone flight & data management. Reimagined. With eMotion, flights are built using mission blocks. Just choose your block (aerial mapping, corridor etc. ), highlight the region you want to map, define key settings, and eMotion auto-generates your drone’s flight plan. Multi-flight missions are supported and you can activate/import elevation data for even safer, terrain-accurate flights. eMotion’s Simulator mode helps you to optimise your flight plan and explore the functions of your senseFly drone. Just enter the wind strength and direction, then press Play to ‘launch’ your drone. Now you can view all aspects of your flight as the drone flies its mission. Upload your flight plan wirelessly to your drone. After a simple hand launch, eBee fixed-wing drones then fly, capture images, and land themselves. For albris, choose between an automatic mapping mission or eMotion’s Interactive ScreenFly mode for live inspections. eMotion’s built-in Flight Data Manager automatically handles the georeferencing & preparation of images required for post-processing in software such as Pix4Dmapper (vastly reducing third-party software compatibility issues). "The eBee provides the best overall performance of any UAS system we’ve tried. It can fly at high altitude, behaves reliably in unstable wind conditions, and it doesn’t require extra additional take-off and landing equipment. Its pre-flight software also makes it easy to create your flight plan and its photogrammetry program generates very precise 3D models." "We use an eBee for many different projects: mapping, road and railway projects, power lines, dam and construction projects, renewable energy and more. For us, it is the most effective drone on the market. It is the perfect intersection of user-friendliness, quality, price, support, and software." "It’s important that UAS products are autonomous and in the case of the eBee this is very true; I found its take-off and landing particularly well thought out. The safety measures embedded in its eMotion software are also smart." 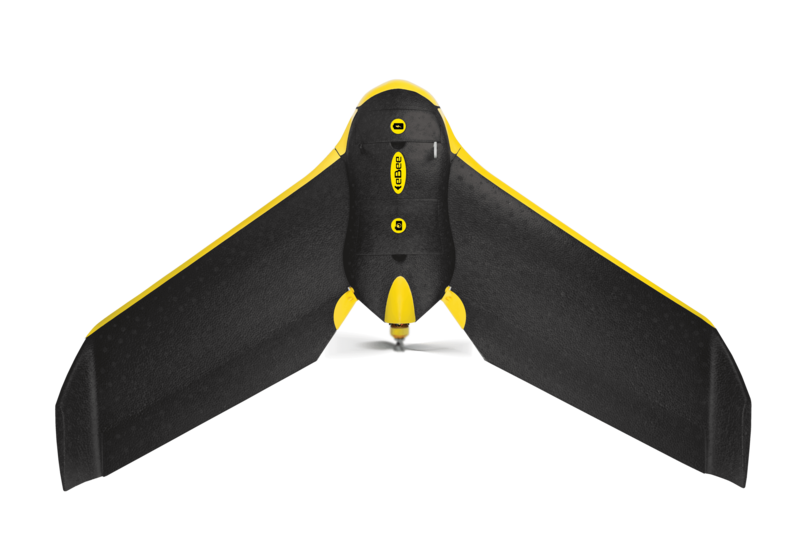 senseFly solutions include lifetime hardware, payload and eMotion drone software support (plus free lifetime eMotion and firmware updates). We also understand that the best support is local support. That’s why we have created and continue to grow our global network of support service centres. Full training on our products, meanwhile, is available at every senseFly point of sale. Training typically lasts one day.